HOA Indexes Some Sacred Literary and Political Stories! At the HOA Index, you could get fire in your soul to light your way burning into new creation of literary works, or to know more human values from the development of this area in the Horn of Africa. hoa-politicalscene.com/hoa.html - HOA Index: Couplet of poetry from "The Sea Fetters in Its Blood" by poet and journalist Khalid Mohammed Osman on movie poster. The index of HOA, or the site map 11 B completes other site maps starting from the Political Site Map, but it turns into cultural and literary values to enrich your cultural understanding building new and beautiful shadows to relax on new and modern usage of language in terms of rhetoric, metaphor, simile and metonymy. hoa-politicalscene.com/hoa.html - HOA Index: Couplet of poetry from "The Sea Fetters in Its Blood" by poet and journalist Khalid Mohammed Osman on sunrise. The intention of building this network is to follow the news and the cultural, economical and political development in this area to analyze them and then provide some suggestions to address all of these issues combined in HOA Index, the site map 11 B in the Horn Africa's Network. So, this page is an extension to the site map 11 A, the Political Site Map. 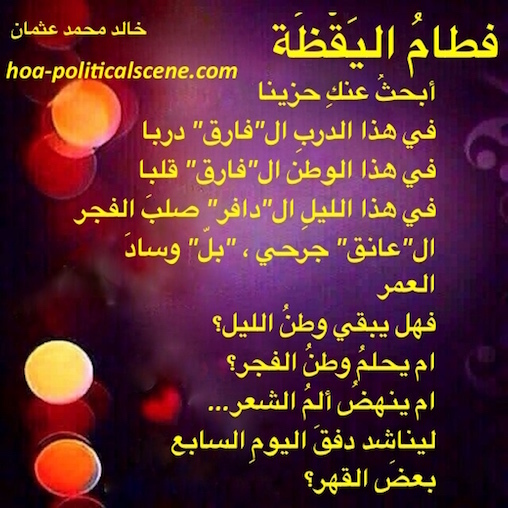 hoa-politicalscene.com/hoa.html - HOA Index: Couplet of poetry from "The Sea Fetters in Its Blood" by poet and journalist Khalid Mohammed Osman on bad weather at evening. HOA Index - Site Map 11 B! HOA Calls - hoa-politicalscene.com/hoa-calls.html: Although this a call for pastime classmates, colleagues of teachers and journalists, friends and lovers can also come to join the network, create, write about the area, discuss with others and share all of that with their socialist network. 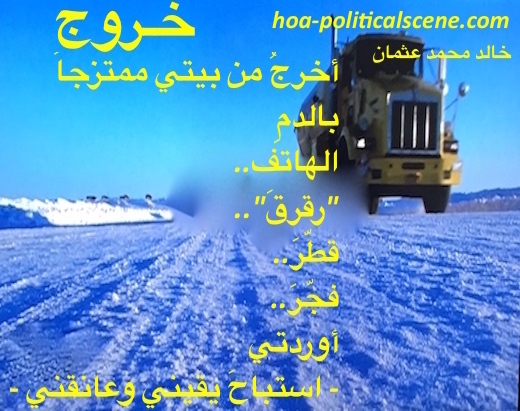 HOAs Comprehensive Projects - hoa-politicalscene.com/hoas-comprehensive-projects.html: The projects are cultural, literary and political to build the fundamental structure of the secular state and to share with us the creation of new horizon in the Horn of Africa. And as the founder says, it's enough for crises, dictatorship, famine, Islamic phobias, tribalism and wars. HOAs Cultural Project - hoa-politicalscene.com/hoas-cultural-project.html: The project is defined with the focus on taking the shared values of cultural aspects in every state and then combine other values to create cultural umbrella. hoa-politicalscene.com/hoa.html - HOA Index: Couplet of poetry from "Exodus" by poet and journalist Khalid Mohammed Osman on beautiful image. It includes some of the following projects in the index below. HOAs Data Analyzing - hoa-politicalscene.com/hoas-data-analyzing.html: It is not a project of course, but is only taking the data to analyze it according to the principles of the network. HOAs Journalists - hoa-politicalscene.com/hoas-journalists.html: This is the support section of the main project by this definition below. HOAs Journalists Project - hoa-politicalscene.com/hoas-journalists-project.html: The project has two phases. The first is to gather and connect the journalists who believe in the secular state. Gathering and connecting occur the best way by having to make a commitment with the network and write about our premonitions, fears and ambitions. HOA News - hoa-politicalscene.com/hoa-news.html: Writing about the issues in the Horn of Africa could be news, or reports, or stories that make the network work as an independent news agency. hoa-politicalscene.com/hoa.html - HOA Index: Couplet of poetry from "Exodus" by poet and journalist Khalid Mohammed Osman on light breaks. HOAs Poets - hoa-politicalscene.com/hoas-poets.html: This is one of the literary projects in the network through which the network builds the umbrella for poets and connect them. HOAs Poets Bookshop - hoa-politicalscene.com/hoas-poets-bookshop.html: The connection of poets is also connected with their bookshop. The bookshop has two includes in this specific publishing project. HOAs Poets Project - hoa-politicalscene.com/hoas-poets-project.html: The poets have also their store to support fundraising publishing projects and human projects along with the specific fundraising projects below. HOAs Political Business - hoa-politicalscene.com/hoas-political-business.html: This is only a page about how they use the business of politics to gain wealth from the resources of the state. 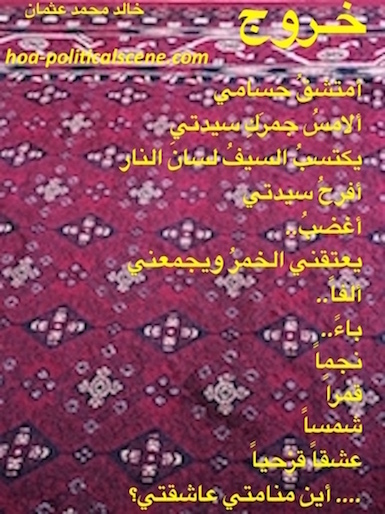 hoa-politicalscene.com/hoa.html - HOA Index: Couplet of poetry from "Exodus" by poet and journalist Khalid Mohammed Osman on Arabian carpet. HOA PoliticalScene Newsletter - hoa-politicalscene.com/hoa-politicalscene-newsletter.html: The newsletter is of course the voice of the network. But, it is also an instrument in the literary projects. HOAs Refugees - hoa-politicalscene.com/hoas-refugees.html: This is the human affairs of the network, which give priorities to refugees, as the founder call them the last refugees of the world. HOAs Refugees Project - hoa-politicalscene.com/hoas-refugees-project.html: They of course have their own stores to support them. This work started by so many articles about refugees you can brose through the Humanitarian Network. HOAs Self-Publishing - hoa-politicalscene.com/hoas-self-publishing.html: The article helps you do the self-publishing project you want by yourself. 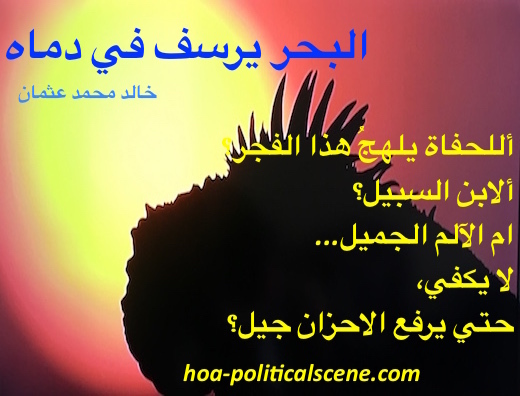 hoa-politicalscene.com/hoa.html - HOA Index: Couplet of poetry from "Speech of the Eastern River" by poet and journalist Khalid Mohammed Osman on beautiful birds. But, the wisdom for the interested people from the Horn of Africa and East Africa is to have the network to help them do the process. HOAs Videos - hoa-politicalscene.com/hoas-videos.html: Some of the videos are about culture, entertainment and politics and the rest are about information on the making of this website. SM15 Write About HOA - hoa-politicalscene.com/write-about-hoas.html: An invitation to interested and motivated people to write about their place in this planet. To see the Arabic pages link to Arabic HOA at ﻿hoa-politicalscene.com/arabic-hoa.html﻿, Arabic HOA Political Scene at hoa-politicalscene.com/arabic-hoa-political-scene.html and HOA's Arabic Prose at hoa-politicalscene.com/hoas-arabic-prose.html. 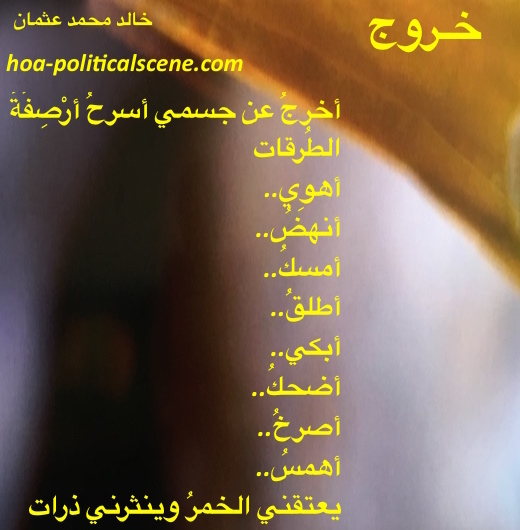 hoa-politicalscene.com/hoa.html - HOA Index: Couplet of poetry from "Weaning of Vigilance" by poet and journalist Khalid Mohammed Osman on beautiful neons. Share HOA Index with your social media, or pin the pictures. or forward HOA Political Scene to your friends. Thanks. Use the comments form below to comment, or to write about HOA. Comments on the HOA Index appear on the section of the page above and below the Comment C2 Entries form. Get the pleasure running over again through the pages of this network and pay a visit to the TV Cinema App to see movies shot in HOA.